One of the compensations of winter is that big, flavorful red wines really shine in this season, complementing the rich stews and braised meats often enjoyed in January and February. 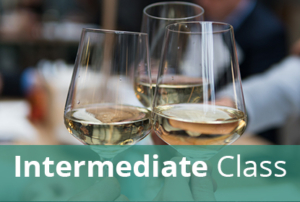 This class will highlight the regions and grape varieties that produce the world’s most generous reds, including exemplary renditions of standbys like Cabernet Sauvignon but also lesser-known standouts like Tannat and Petite Sirah. Additionally, we’ll consider how certain regions can make full-bodied wines from grapes that are stereotyped as medium-bodied (such as Toro with Tempranillo) and how warm growing seasons can produce the same effect (e.g., 2015 for Châteauneuf-du-Pape).